It seems the concept of teaching with textbooks has become a no-no in current teaching trends. Isn’t it ironic, considering the purpose of a textbook is to teach information? The idea of being considered a “textbook teacher” is something I find other educators frowning upon. And the new trend is ever present in new, young, fresh out of college teachers who know all about creating rubrics, cooperative learning, and implementing technology. Yet, they seem to be clueless in regards to how to teach with a textbook. I have nothing against the latest and greatest teaching techniques that work with students. But I believe there needs to be a balance of what’s trendy and what’s traditionally effective. Not only should we be teaching with textbooks, we also owe it to our students to teach them how to use a textbook. While it seems digital textbooks are the next line of choice, a word of caution. According to studies conducted by the University of Maryland, student comprehension was better with reading print than digital documents. There is a disruptive effect where scrolling on a screen lowers the reader’s comprehension levels. My own experience speaks to the argument as well. I have taught 6th grade for 15 years, which means I have former students who have now graduated from college. Multiple former students and their parents have returned to share with me that my instruction from 6th grade did more to prepare their student for college than any other secondary teacher in middle or high school. When the 8th grade history teacher can clearly identify which students were in my class for 6th grade solely based on their academic skills, organization methods and preparedness, well then I know I’m doing something right. And more importantly, that what I’m doing has merit and I should fight to keep doing it for the sake of my students – despite what’s trendy. Developmental studies show that 6th grade students, ages 11-12 are at the ideal age for learning and implementing study habits that will stick with them throughout their educational career. In order to teach my students about using a textbook, I start with a lot of exploration time and modeling how to use it. I have found that students learn best if you walk them through, step-by-step. Never assume your students know anything – start at the very beginning and build them up. The first time I realized a 6th grader did not understand how to use 15 page glossary, I was in shock. This is an example of how digitalization as robbed our students of basic skills. They are so used to typing in a question and being provided an answer instantly, without having to do anything. Although they knew their alphabet, they seriously struggled finding words listed in alphabetical order. And so began basic vocabulary work. While it may not seem like an exciting task, or trendy entertaining lesson, it is definitely a necessary one. At the first of the year, it seems to take my students FOREVER to write definitions for 8 vocabulary words. But by 4th quarter, that time is more than cut in half – simply because I take the time to model my expectations in the beginning – everything from how to lay it out in the notebook to finding the information in the textbook, all using the document camera and talking them through each step I take. You may be thinking that I am hand-holding my students. Let me assure you, the exact opposite is true. But by taking 15 minutes of my time at the start of the year to model and explain, I am setting my students up for success. I constantly monitor progress during work time and provide extra support where it’s needed. There is no question about what to do, the expectations are crystal clear. Each student, high achievers and struggling students both understand expectations, and their confidence builds as they meet them. The most beneficial part of modeling for students is not just showing them what you’re doing, but voicing what you are thinking. That reminds me of something we have already learned... can anyone think of where we’ve seen/heard this before? Hmm... does this remind you of anything? How does this compare to what we already learned about _____? What can we predict based on what this title tells us? Sometimes I call on students to answer, and other times I let them sit and ponder. The important thing is to give them time to think for themselves. Eventually students will begin asking their own questions and pointing out things they notice without being prompted. This is when you know your strategies are beginning to take hold. Understanding key vocabulary is the key to learning any subject – especially complex topics. Allowing students to become familiar with key words and terms before teaching a complex lesson, lends to students who can focus on understanding concepts instead of struggling with the meaning of words. Reinforce vocabulary work by reviewing during every lesson you encounter these words. Who remembers and can share what _____ means? Is a question frequently heard in my classroom. The more frequently words are used over time, the less they need to be reviewed. Eliminate the stress for your students and allow them the benefit of listening to the lesson. I make a deal with each of my classes at the start of the year – I have the lessons on CD, which I will play for them in exchange for their agreement to follow along with their full participation. I have never encountered a class that wasn’t eager to agree. Some may disagree with this practice, but it allows me to walk and monitor the classroom while the lesson is being read and it allows students to focus on the material and hear the words with correct pronunciation. All of which leads to higher student comprehension. We practice reading skills in small groups and partner-ships, where students are reading material they are already familiar with, but are working to expand their knowledge base. 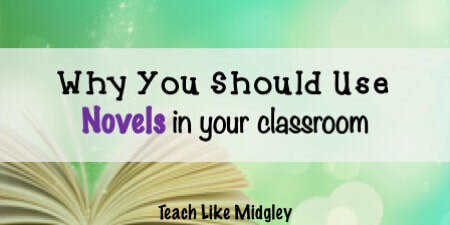 My emphasis on pre-reading strategies exceeds my emphasis on during and after reading strategies. This is where the magic takes place. Reviewing what we’ve already learned and making predictions and connections to the new lesson. FIRST – discuss the title of the lesson. Have a student read it aloud. What does it mean? How does it connect to what we already know? What can we predict? 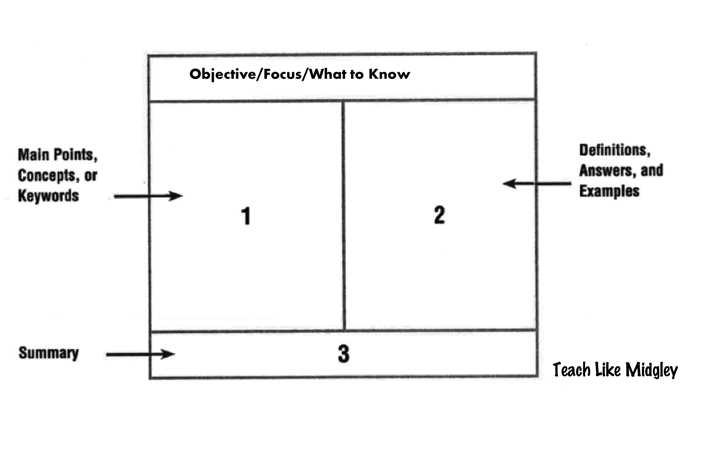 SECOND – call attention to the Focus/What to Know/Objective section of the lesson. Every lesson has one, they just often use different terms to define it. Essentially you are looking for the main idea of the lesson – what students can expect to learn. Have a student read it out loud for the class. THIRD – flip through every page of the lesson, together. In the same manner, have students notice and read aloud each subtitle. Examine pictures, graphs, and maps. What are they about? What do the captions tell us? What vocabulary words are present? What do they tell us about what we will learn? If necessary, break down the words in a title. Discuss what each word means individually to better understand what the title is trying to tell you. Use the information to make connections and make predictions. Call attention to the introductory and concluding sentences and paragraphs. These will help your students focus on the main ideas and big events. Often when students struggle with understanding textbooks, it is because they get bogged down with details and can’t see the big picture. Try to focus your class discussions on the big picture and main ideas. Consider the details an added bonus. Especially when it comes to history, main ideas and concepts are key. Avoid focusing on dates. I do not allow them to be included with our notes, for the exact reasons I stated above. While chronology is important to understanding events, memorizing numbers should not be the focus of a history classroom. Instead, teach your students how to use dates to learn history. You may be interested in reading more about teaching with timelines, HERE. I highly recommend using the Cornell Note-Taking structure, which is designed to help students focus on objectives, ideas, and summaries. I would suggest using a basic structure with 6th graders, such as the design you see here. During your reading, recall and comment on connections to previous lessons and societies you’ve studied. What does this remind you of? What do we already know? Are questions you should be asking. Once you’ve read and completed notes on the core of the lesson, verbally discuss and answer the questions the textbook provides at the end of the lesson. This helps you immediately address any lack in understanding or misconceptions students may have. 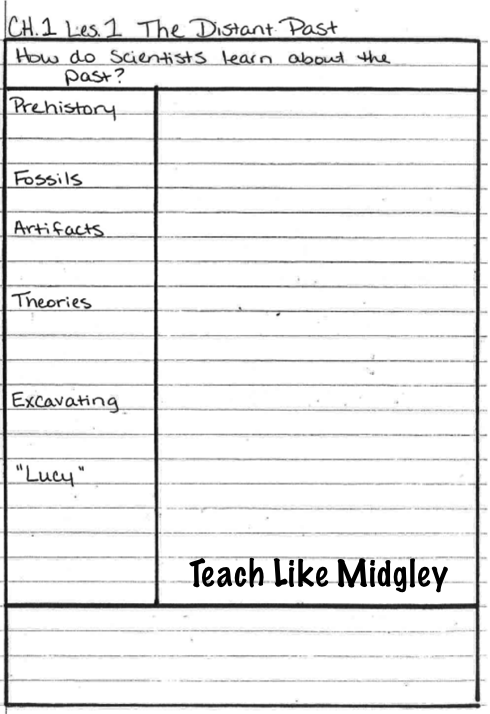 FIRST – write their own summary in the box at the bottom of their Cornell note-taking structure. I find this to be far more beneficial than having them answer questions. It is also a fitting assignment for students of all levels. For your struggling students, simply asked them what they learned today and write about it. Every student is able to find success. SECOND – go back and read the summary from the end of the lesson that is provided by the textbook. This gives students a chance to check their own work and reinforce the main ideas taught. THIRD – go back and read your notes from the day’s entire lesson. Was anything forgotten? Add it in! Begin at the start of lesson one – read the title and following subtitles. Call attention to the vocabulary, pictures, charts and maps. Ask you students – What did we learn here? What do you remember? Flip through every page of the lesson in this manner. Read the summary at the end. Continue on with each lesson until you’ve completed the chapter. I actually start each new lesson in this way – reviewing the lessons already completed. It helps to reinforce main ideas, concepts, vocabulary and student comprehension. Once you’ve done this several times together as a class, have students do it themselves – either individually or with a partner. 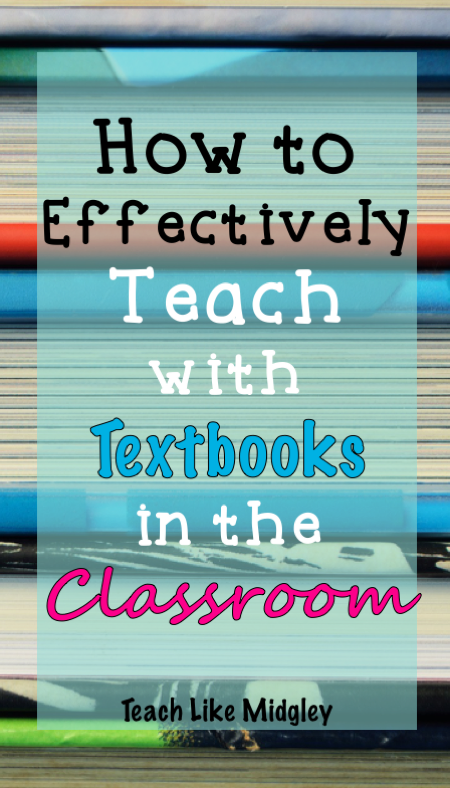 Teaching with a textbook may not be considered “cool” anymore, but you are doing your students a disservice if you don’t teach them how to use one. Reality is, they will most likely find themselves in a high school or college class where they are expected to read and learn from a textbook independently. I fully support textbook lessons, but I do not use them every day or even with every unit. In fact, I focus heavily on textbook use early in the year, supplement my units with textbook lessons throughout the year and heavily focus on building independent student use during 4th quarter. 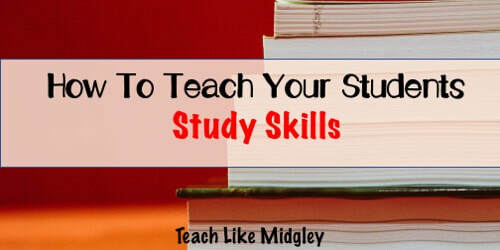 Textbook learning is only part of the set of study skills you should be teaching your students. If your students are struggling with the concept of studying, then grab a copy of my Study Strategies for Every Student, which I guarantee will help. 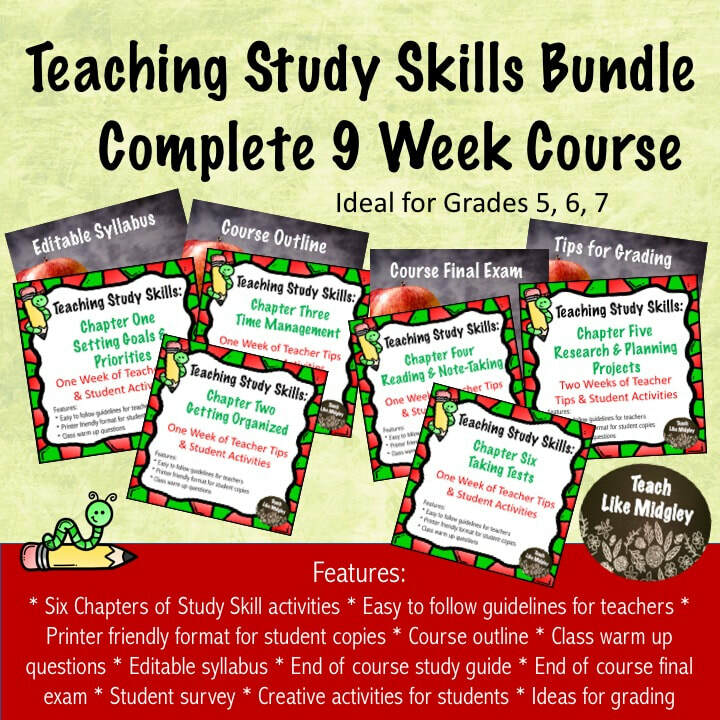 You can also check out my line of study skill products that I developed into a full 9-week Study Skills Course designed with the 6th grader in mind.